UFC heavyweight champion Junior dos Santos will attempt to make his second successful title defense when he faces Cain Velasquez later this year at UFC 155: Dos Santos vs. Velasquez II. 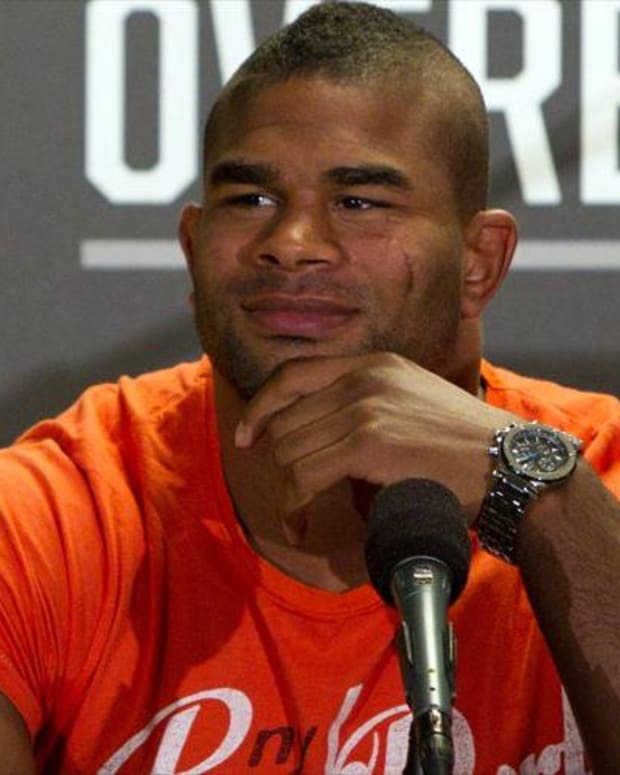 After that, Alistair Overeem is expected to be the next challenge. As far as dos Santos is concerned, though, he doesn&apos;t feel as though Overeem has proven himself in the UFC. The former Strikeforce heavyweight champion was suspended following a failed pre-fight drug test earlier this year. "I think he doesn&apos;t deserve to fight for the title," said dos Santos, during a recent interview on UFC Tonight. "You know this guy, everyone is just talking about him because he failed the drug test and he started to talk a lot of trash, so that is why people are talking about him. Well, his time will come." Dos Santos and Overeem were expected to square off before Overeem lost his fight license for the drug test. "Cigano" went on to defeat Frank Mir in his first defense since winning the belt from Velasquez in 2011. Several reports this summer stated that dos Santos asked UFC president Dana White to pair him with Overeem because of the trash-talking that "The Reem" was doing. However, the UFC could not promote him for the December card because it takes place just days after Overeem&apos;s suspension ends. Dos Santos, however, tells a different story. "I didn&apos;t put Overeem over Cain because they are different. Cain is a real fighter and he sells his fights fighting," dos Santos said. "It is very different than Overeem. I said that, but it is not the same thing. I keep saying that he doesn&apos;t deserve to fight for the title, but I would love to fight with this guy to put him in his place because I don&apos;t think he is at the same level as me, Cain and other fighters."